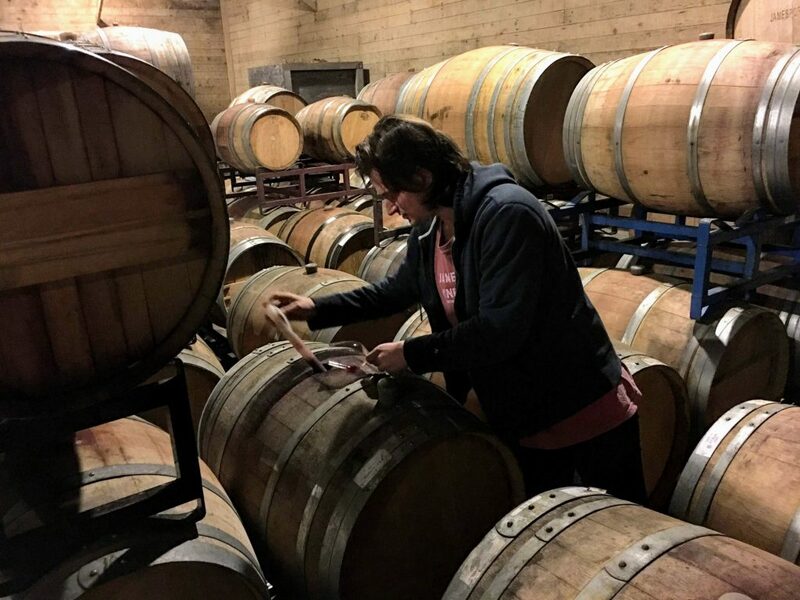 I don’t publish my list of must-visit wineries here on Long Island – or in any region. It’s not so much that I worry about upsetting someone who doesn’t make the cut. I’ve shown on at least a few occasions over the course my writing career that I don’t let such things get in the way of being honest with my readers. I don’t publish these types of lists because they change so much. Vintage variation is very much a reality up and down the East Coat and depending on what wines are out at any given moment, my must-visit wineries change with them. So, while you wouldn’t know this unless you were a first-time visitor to Long Island wine country and asked for a list (I always respond to such emails) Jamesport Vineyards hasn’t been on the list for many years. Why isn’t necessarily important. Again, the list is fluid anyway. What is important is that Jamesport is definitely back on the list and winemaker Dean Babiar is the reason. Babiar arrived at Jamesport in 2014 at the end of harvest, literally. Everything was picked except for riesling for late harvest dessert wine. But more on that in a bit. His arrival was, of course, news. Any winemaker change is news in a relatively small region like Long Island. But as I look back on it, it probably should have been much bigger news. 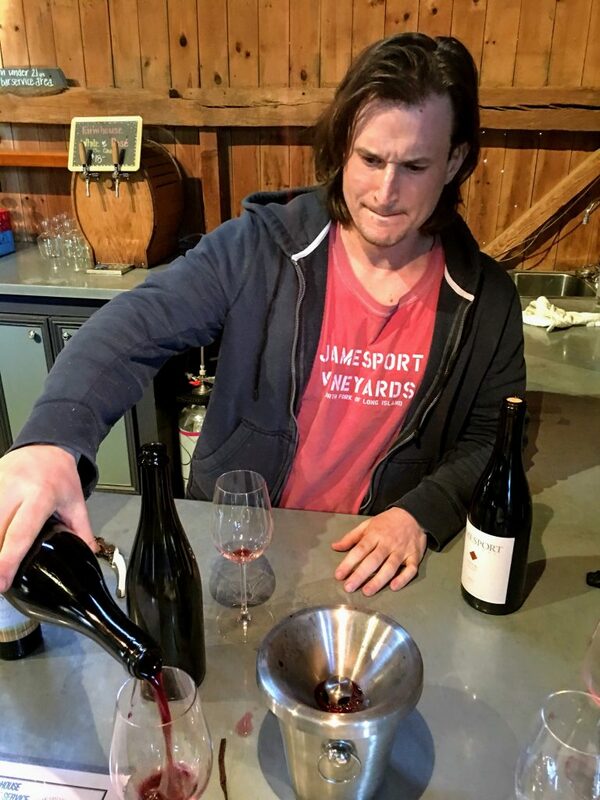 An impromptu look at Jamesport syrah in various forms and vintages. In a region with more than 50 wineries/labels but only roughly half as many winemakers the last time I counted, new winemaking talent coming to the region is important and all too rare. It’s easier and cheaper – though rarely better – to hire a consultant winemaker who is already here than to hire a head winemaker of your own from somewhere else. After spending a few hours with Babiar recently, it’s clear to me that the Goerler family did the right thing hiring him and installing him as their full-time, head winemaker. His impact on the wines has been significant and intentional. He has worked and continues to work closely with owner-grower Ron Goerler Jr. to evolve their approach both in the vineyard and in the cellar. It absolutely shows in the wines. “I’m pushing for brighter wines. A focus on aromatics,” Babiar told me as we tasted through barrels and tanks of in-progress wines, some of which will be bottled soon. He’s just waiting for the bottles themselves to arrive. To get there, Babiar has begun to revamp his barrel program to move away from new, small oak barrels toward using larger, older wood vessels. The result is fewer overt oak flavors and fresher, more pure expression of North Fork terroir. The wines are fresher, yes, it’s more than that. Babiar is making the kinds of wines I like to drink. 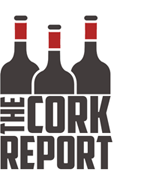 The 2017 red wines are dark and concentrated — thanks in part to extended time on the grape skins — and well structured but they aren’t jammy or heavy or what I sometimes refer to as “goopy” wines. They are rich and fresh and while that might not be possible in ever vintage, when the fruit affords the opportunity, Babiar is going for it. 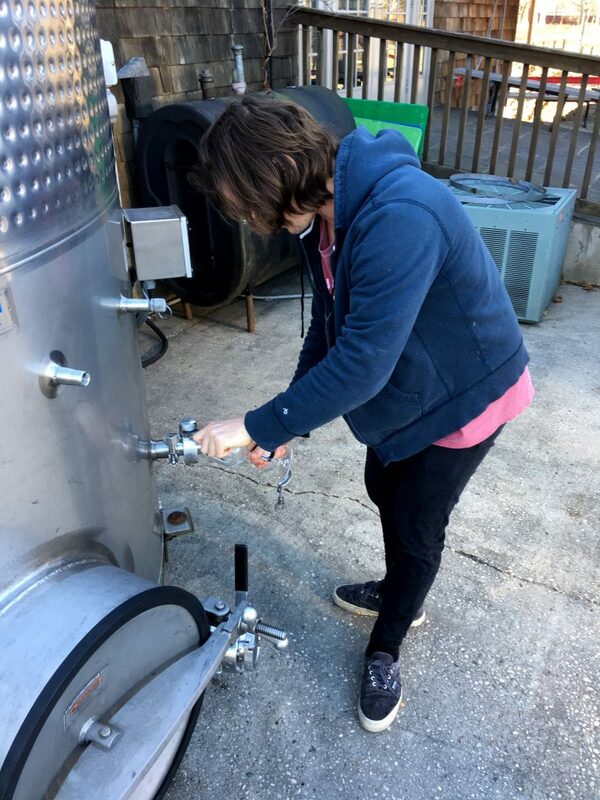 Babiar pulling 2018 sauvignon blanc from tank. Hes is also experimenting with new varieties. Jamesport has had success with albariño already and will b planting new varieties in the spring and going forward. Babiar mentioned Italian white varieties like vermentino as well as Italian reds like lagrein and teroldego, which he’s already working with, purchasing it from a local vineyard. The experimentation reaches beyond grape varieties too. All of Babiar’s red wines are now made with ambient yeasts, meaning that he doesn’t add commercially propagated strains. 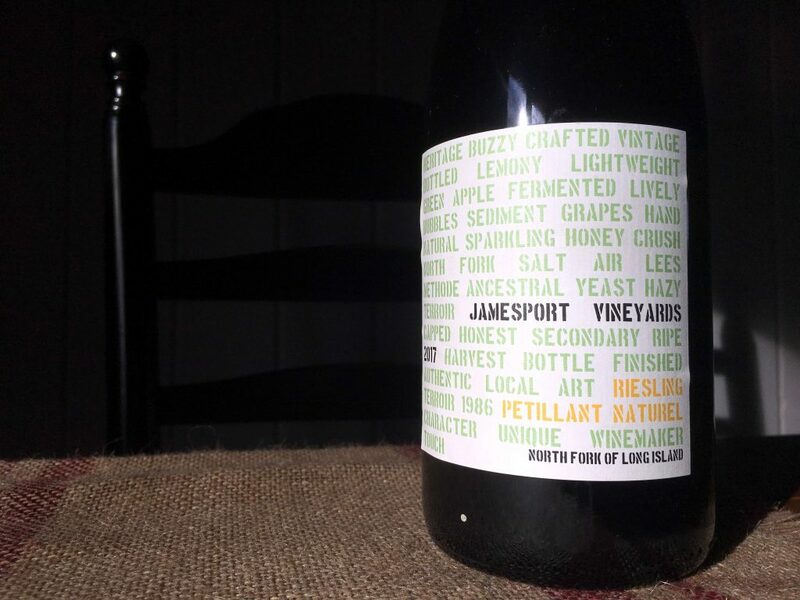 With only limited SO2 added at bottling, Jamesport might technically be somewhere on the “natural wine” continuum, but they don’t talk about it. It’s not about marketing for Babiar. It’s just about making the best wine he can. The Jamesport team also air-dried some of that lagrein fruit they purchased in 2017, resulting in an amarone-style wine that is unabashedly powerful and probably higher in alcohol than almost any red wine ever made on Long Island, but it’s also expressive, unique and delicious. It won’t be released for at least another year, but it will be a wine worth seeking out. The wine itself, which is sitting in a large barrel right now, has the marmalade, floral and dried-apricot qualities many orange wines have, without being too earthy or funky or tannic. Think of it as an orange wine for people who haven’t had one before. I tasted a lot of wine with Babiar over the course of the few hours we spent together. Everything was at least good, but many of the wines went beyond that. Again, the 2017 reds — across the board — impressed. Two different 2017 cabernet franc lots, one from vines that don’t exist anymore, both showed concentration while remaining lithe with fine tannins and subtle herbal qualities. I loved a 2017 petit verdot that is spicy and dark and is already showing greater length and complexity than most local examples. A blend of petit verdot and teroldego from 2017 may have been the best wine I put in my mouth all day. You may have read — maybe even something from me — about the challenges of the 2018 vintage. I didn’t taste any 2018 reds, so I can’t offer any thoughts on those, but if Jamesport’s 2018 whites are an indicator for how the rest of the region fares, I’m less worried than I was before. Babiar’s 2018 sauvignon blanc is perhaps a little leaner than typical, but it’s got plenty of ripe tropical and citrus fruits and ends with juicy peach and a nice bit of acidity. Acid hounds will love the 2018 albariño for its huge aromas, tropical fruit flavors and nervy acidity. 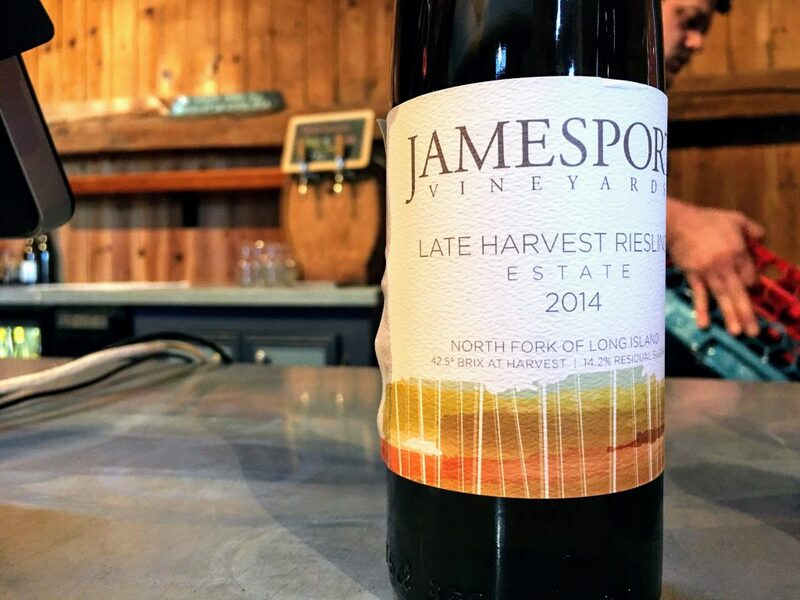 Jamesport Vineyards is back as a top producer on the North Fork. And with Dean Babiar making the wines, it should stay there for years to come.